Limestone pocket pulling, check. Granite inverted offwidth, check. High alpine big walls, check. Sandstone bouldering, check. Wyoming, the wind swept land of cowboys, Tetons, the Lander Bar, and endless amounts of quality stone, is also home to the AAC Teton Climbers Ranch. 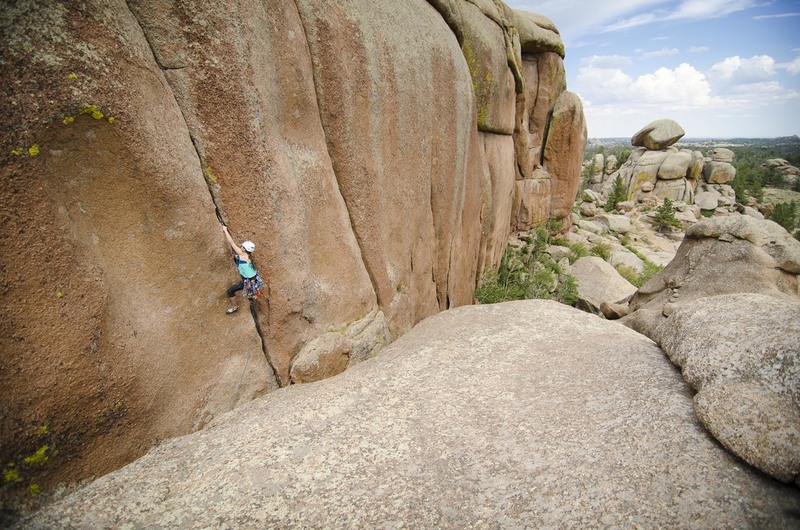 If you haven’t visited the least populated state in the Union, then it’s high time to check out the climbing in Wyoming! Micah Rush has over 20 years of climbing experience including alpine/mountaineering, big wall, sport, trad, and ice climbing. His climbing ascents have taken him throughout North and South America, as well as Europe and Southeast Asia. Micah has first ascents throughout Wyoming and authored a guidebook for Fremont Canyon. He's worked to replaced many of the old fixed gear in Fremont Canyon and Dome Rock through the Anchor Replacement Initiative. In 2009 Micah was awarded the International Climber’s Festival Board of Director’s Award for his contributions to the Wyoming climbing community.